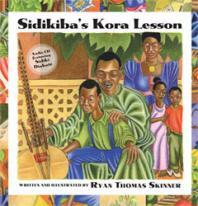 Popular throughout West Africa, a kora is made of a gourd cut in half and covered with cow skin. 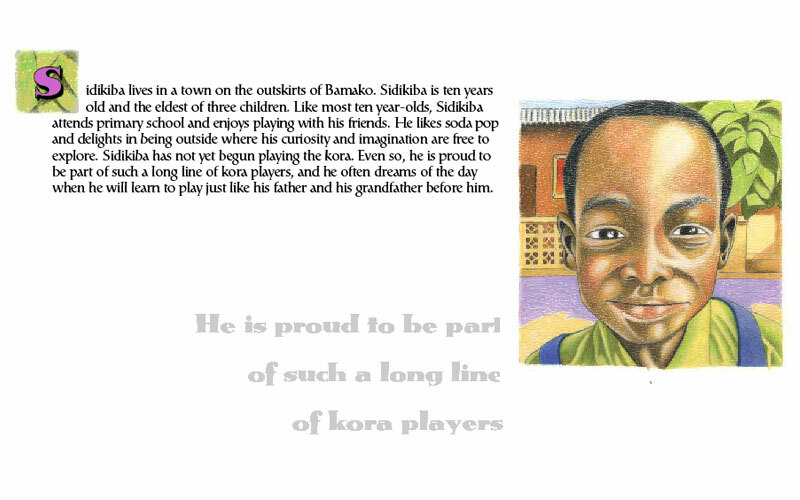 It has a long wooden neck from which twenty-one strings descend to a notched bridge, making the kora a cross between a harp and a lute or guitar. 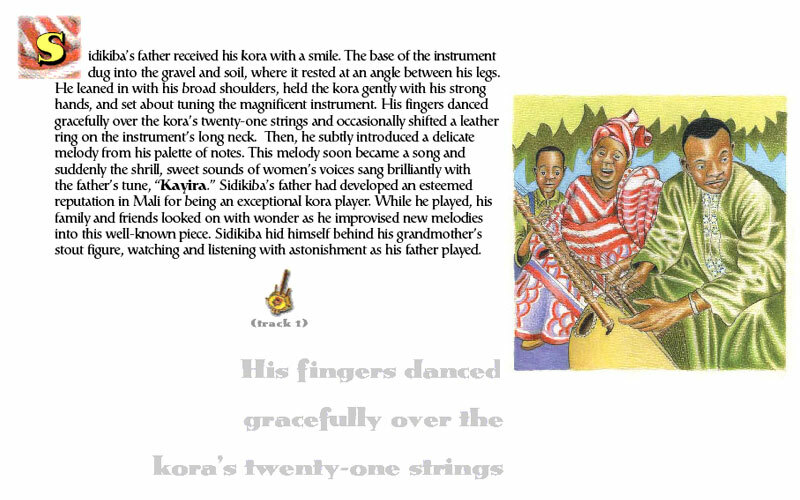 A kora sounds like a classical harp but bears resemblance to flamenco and delta blues guitar when played by a skillful musician.